In windows 8, go to search box then type defragment then click " defragment and optimize your disk". then select every single disk and optimize and analyze them , it will take just few minutes. but in previous version of windows (eg.windows xp/vista/7). click all programs then click accessories then click system tools and at last click "defragment and optimize your disk" then select every single disk and optimize and analyze them , it will take just few minutes. Go to Run (or press windows+R) then type "cleanmgr" without quotation, click OK.
New confirm box will open then click OK after few seconds options for cleaning up your PC (or Notebook or Laptop) window will open. Just click OK and click "delete files" (don't be panicked it only deletes temporary and unused files of your PC (or Notebook or Laptop), it won't affect your personal files). 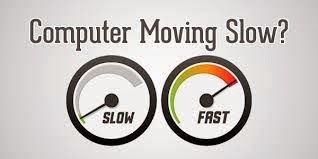 After few seconds it will be done, then your PC (or Notebook or Laptop) will be faster than before. that a good information... thanks for sharing it..